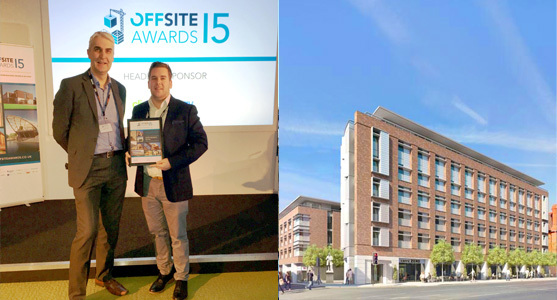 Hester Architects were highly commended for the best use of volumetric technology at the Offsite Construction Awards 2015 and were placed 2nd in their category. The Scheme in Hope Street Liverpool consists of 347 student units and is the tallest timber frame volumetric building in the UK. 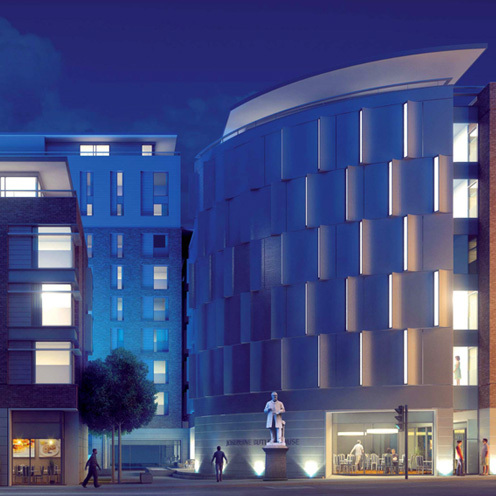 Hester Architects used volumetric technology to increase efficiency and reduce site disruption.